Microsoft hopes that with XBox One All Access will be the right price for you to take the leap. There Will be A Streets Of Rage 4…YES! Sega is bringing back their legendary side-scrolling beat-em up series back with Streets Of Rage 4. T-Mobile is reportedly going to be the first US Carrier for the OnePlus 6T. The Switch version of Dark Souls: Remastered missed its summer party but will around for the fall block party. The HyperX Pulsefire FPS gaming mouse is all about quality without gimmicks or fluff to give you the best bang for your buck. The Alcatel 7 launches today exclusively for MetroPCS, bringing premium features at an affordable price. Cyberlink and BWOne have teamed up for an exclusive offer for content creators. Get Director Suite LE for free! 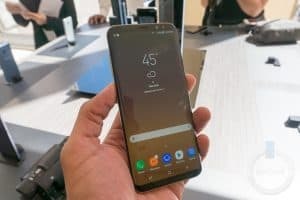 Android 8.0 for the Galaxy S8 rolls out for Verizon, T-Mobile and Sprint customers.